The brand new Aubrey-Maturin novel, the twentieth in this classic series. This is the twentieth book in Patrick O'Brian's highly acclaimed, bestselling series chronicling the adventures of lucky Jack Aubrey and his best friend Stephen Maturin, part ship's doctor, part secret agent. The novel's stirring action follows on from that of The Hundred Days. Napoleon's hundred days of freedom and his renewed threat to Europe have ended at Waterloo and Aubrey has finally, as the title suggests, become a blue level admiral. He and Maturin have - at last - set sail on their much postponed mission to Chile. Vivid with the salty tang of life at sea, O'Brian's writing is as powerful as ever whether he writes of naval hierarchies, night-actions or the most celebrated fictional friendship since that of Sherlock Holmes and Dr Watson. 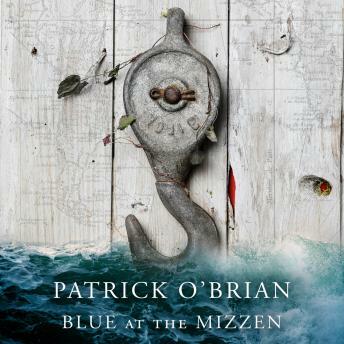 Blue at the Mizzen also brings alive the sights and sounds of revolutionary South America in a story as exciting as any O'Brian has written.